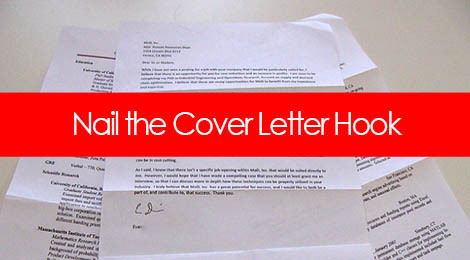 The opening line of the cover letter is your hook, and it can often be challenging to nail that perfect opener. Much like the resume, it’s a likelihood the your reader will skim through your letter looking for the most pertinent and relevant information. I’m reaching out with interest in being considered for the [JOB TITLE] opportunity with [COMPANY NAME]. With over 10 years of experience across X, Y, and Z, I’m confident that I can bring a significant amount of value and expertise to the role. My name is [YOUR NAME], and I am interested in being considered for the [JOB TITLE] opportunity with your organization. My background combines more than 10 years of expertise in X, with additional experience in A, B, and C.
I am enclosing my resume in response to the [JOB TITLE] opportunity, as advertised on [JOB BOARD]. My background combines over 5 years of experience across A, B, and C, complemented by a Bachelors degree in X from the University of Wherever. I’m reaching out with interest in being considered for the Marketing Director opportunity with Brooklyn Resume Studio. With over 10 years of experience across brand development, marketing strategy, and public relations, I’m confident that I can bring a significant amount of value and expertise to the role. My name Dana Leavy-Detrick, and I am interested in being considered for the Senior Copywriter opportunity. My background combines more than 10 years of expertise in developing compelling and earth-shattering digital content, with additional experience in client management, team leadership, and project management. I am enclosing my resume in response to the Sales Manager opportunity as advertised on your LinkedIn company page. My background combines over 5 years of expertise across new business development, partnership sales, and account management, complimented by an MBA from the Stern School of Business at New York University. Your goal is to create a compelling introduction that gives a lead into who you are, what position you are applying to (important), and why you’re a potential fit for the role based on the needs of the position. Tags: career, communication, cover letter, job search, personal branding, resume. Bookmark the permalink.